Developing a personal budget plan is a great way of helping you improve how you oversee and manage your finances. For many, it’s easy to calculate how much income you receive, but not so straightforward keeping tabs on your expenditure! Sometimes it can be easy to spend money on things you need and want, without first determining whether you can truly afford them. How could a personal budget plan help me? Firstly, it can be extremely useful to simply compare your total income against your regular, reoccurring expenditure, things like your mortgage or rent payments, your household and utility bills, and even lifestyle expenses such as entertainment and leisure activities. Being able to see how much income you have left after the essentials have been taken care of can really help you plan smartly for the weeks, months and years ahead. 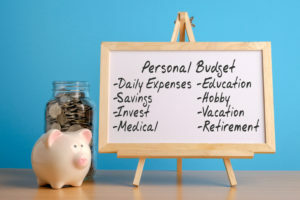 Secondly, developing a personal budget can be a great way of prioritising the things you really need, and making sure you have enough money available to pay for them. A personal budget plan can enable you to ring-fence money for costs you know you’ve got coming up later in the year. This could be something as simple as having funds in place to cover your car MOT and service, home improvements, or a holiday away with your family and friends. Sounds good, how do I set my own personal budget plan? The Finance team have developed an easy to use personal budget planning template that can help you get everything down on paper and make more informed judgements about your finances. A bird's eye view of your financial situation, if you like! The budget plan is available electronically (in excel format), you can download it below. Alternatively you can request it to be sent to you in paper format. The planning sheet is best used electronically though as it has been formulated to auto calculate your income and expenditure! Can I get some help or support completing my personal budget plan? 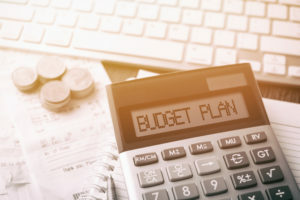 If finance and budgeting isn’t really your thing, and you’d like a bit of help, Jeff Prevost, the Trust’s Finance Co-ordinator (Beneficiary Support), can support you with developing your personalised budget plan by coming to meet with you, giving you a call, or supporting you virtually by email. Contact Jeff on 01480 474074 or email jeff.prevost@thalidomidetrust.org to request his support. Have other beneficiaries used the personal budget planning template? Yes. Beneficiaries using the Trust’s personal budgeting tool have fed back how useful they found the process, and that it has really helped them make better decisions for themselves about their finances. Others have said it has helped them realise their longer term plans or manage debt repayments more effectively. Whatever your circumstances or situation, a budget planner can be extremely useful!